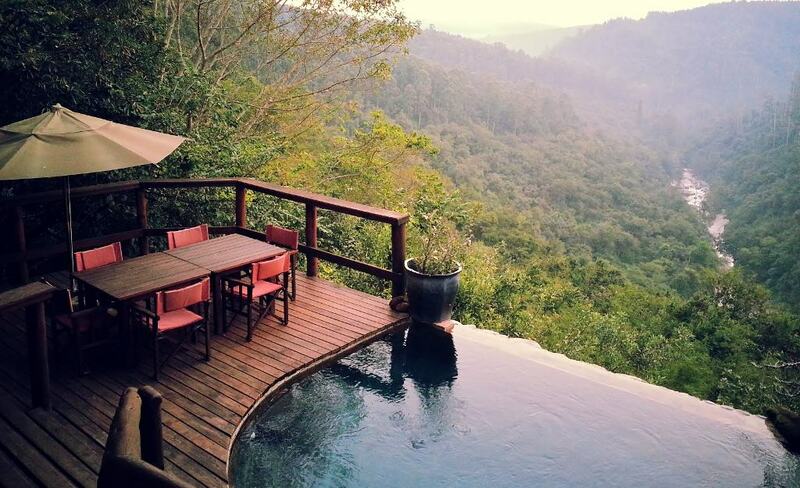 FROM R2250 PER PERSON p.p. 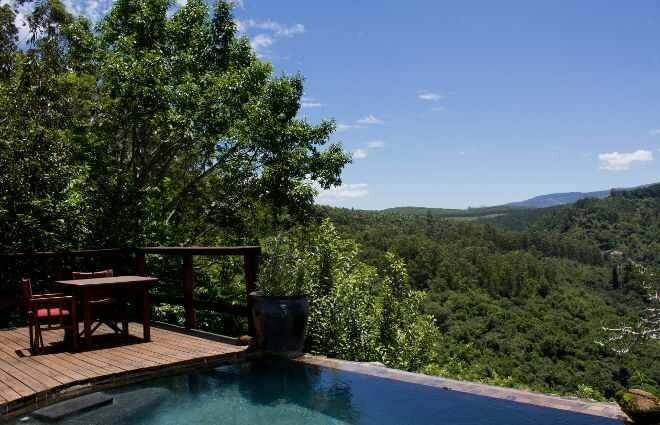 Tanamera Lodge is nestled on the malaria-free slopes of the Sabie River Valley, offering luxurious accommodation and breathtaking Lowveld scenery. 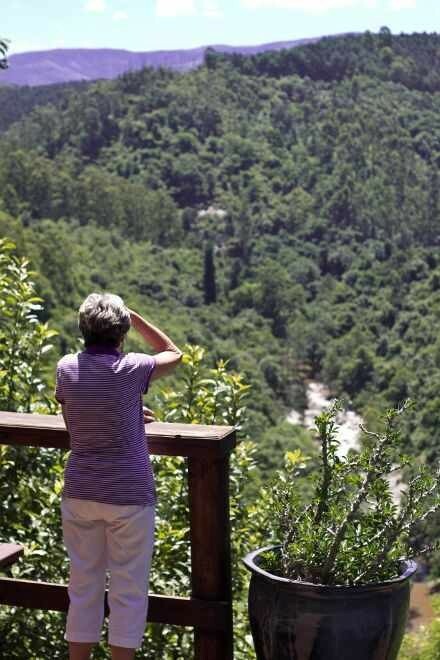 Being centrally located, guests are able to explore the Lowveld Panorama, including sights such as God's Window, the Blyde River Canyon and the Mac Mac or Bridal Veil Falls. 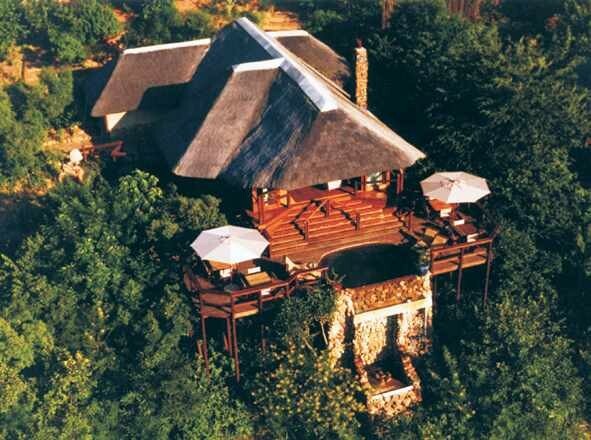 With the Kruger National Park's Phabeni Gate just a short 30-minute drive, our visitors may easily access this world-renowned Big 5 reserve on self-driven or guided safari tours. 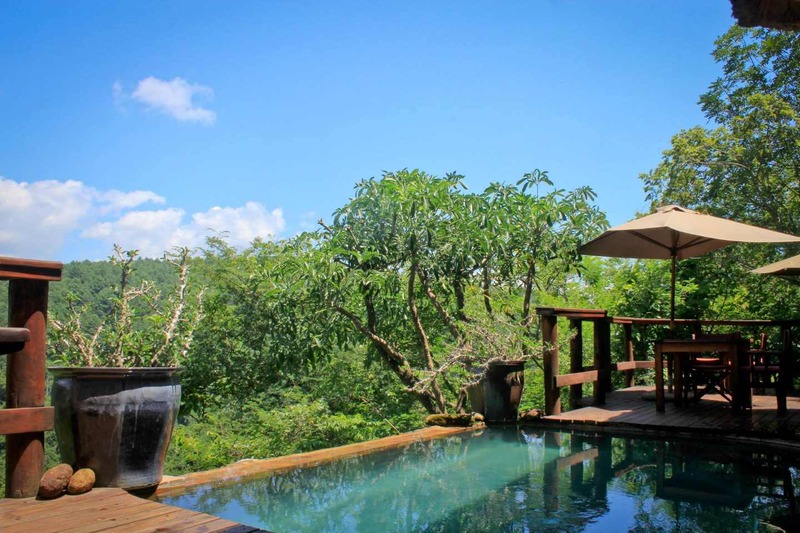 This is a Birder’s Paradise and home to birds such as the Narina Trogon and Purple Crested Turaco. 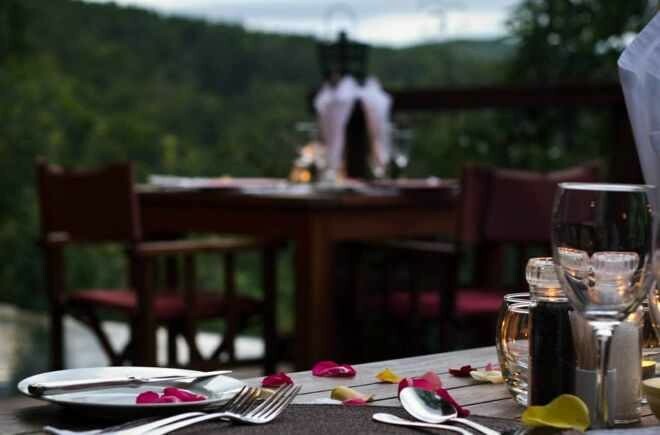 Activities in the area include abseiling, white water rafting, hot air ballooning, microlight flights, elephant encounters and horseback riding and much more! 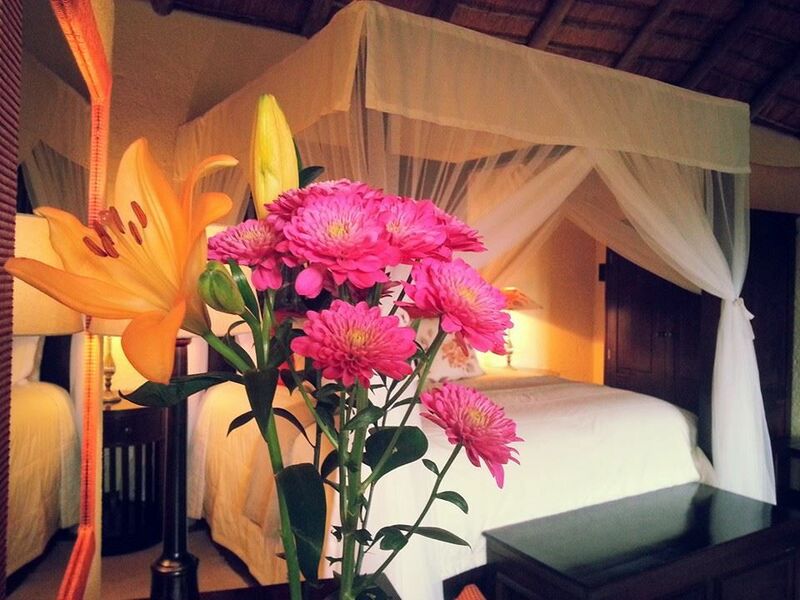 Tanamera is perfect for romantic getaways and those special celebratory occasions. 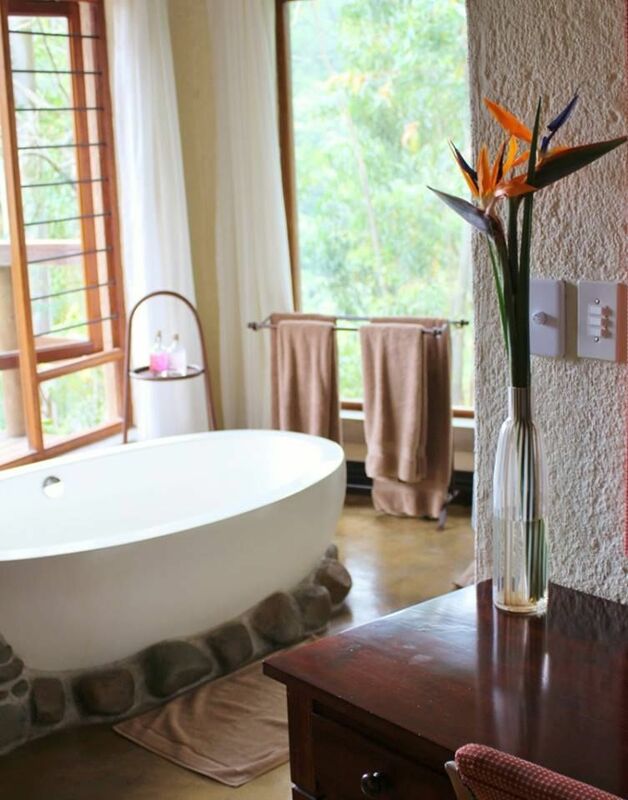 Our five magnificent Luxury Chalets are fully serviced and offer king-size beds with mosquito nets, stone baths, waterfall showers, fireplaces and plunge pools. 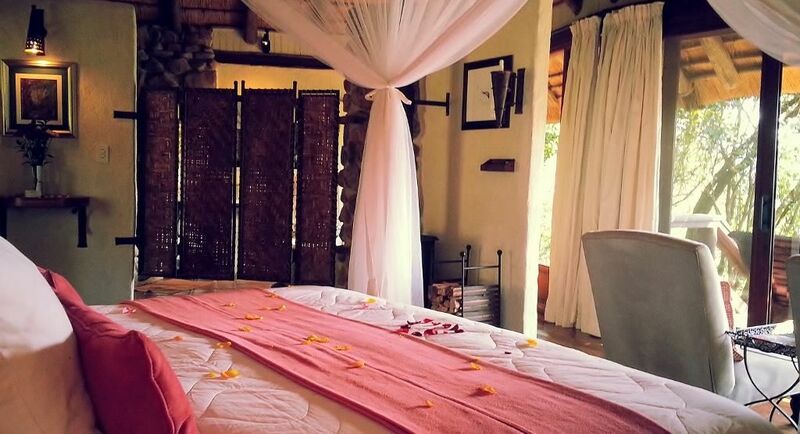 In addition to this, the two Honeymoon Chalets offer open-door outside showers on private decks with outstanding valley views and a sitting room/dining area. 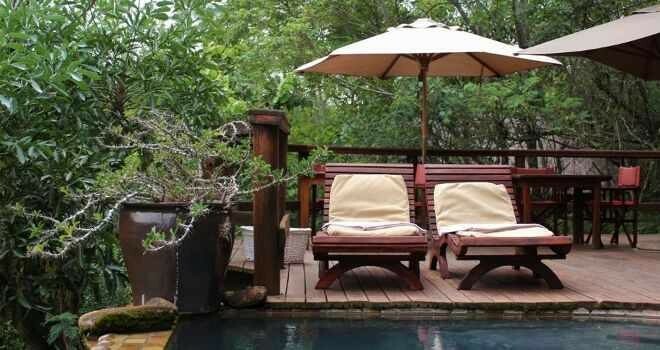 Each Chalet is secluded, private and surrounded by the unspoilt indigenous bush. 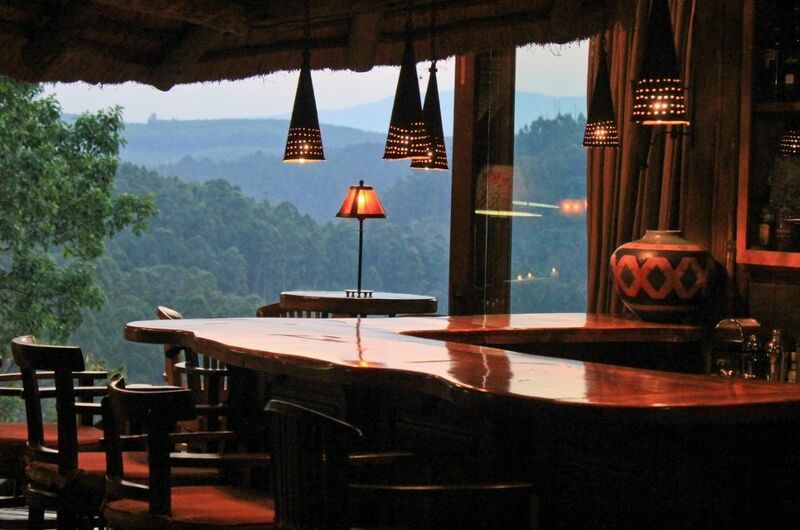 The main lodge area is tastefully decorated and comprises of a dining area, lounge and comfortable bar area. 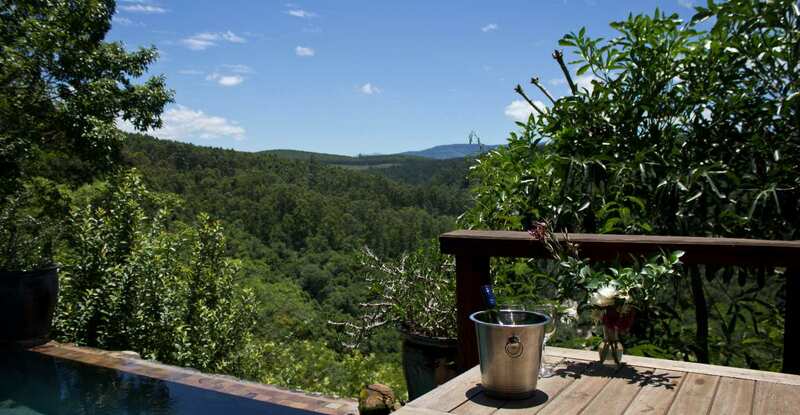 Step down onto our main deck where there is a rim-flow pool and absorb the exceptional views over the cascading Sabie River Valley. 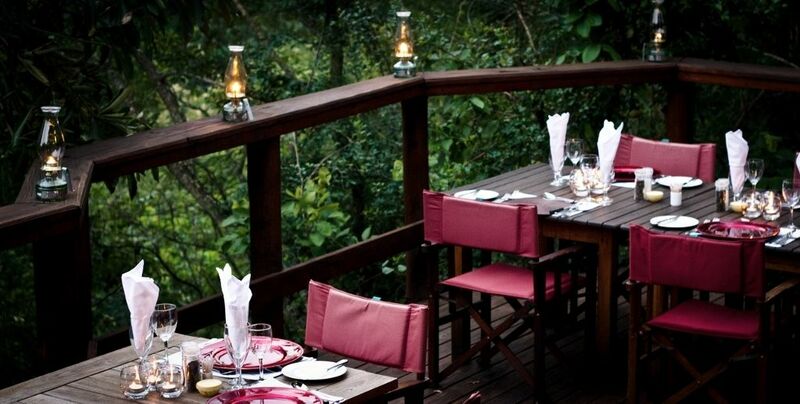 Meals are served in our main lodge area or on the candle lit deck... or privately in your chalet or on your deck. Rates include dinner, bed and breakfast. 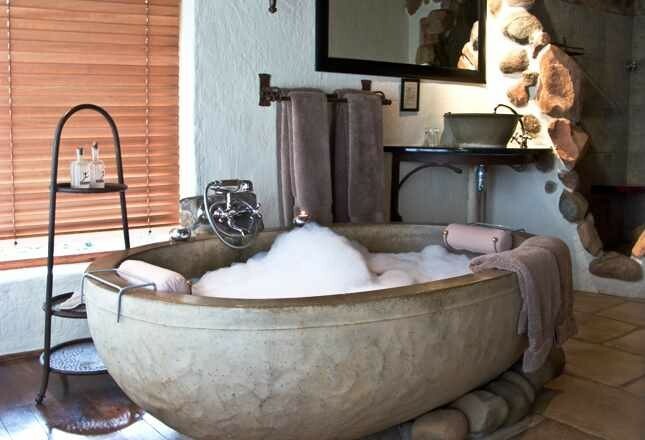 Honeymoon Romance: All our chalets feature king-size beds draped by elegant swathes of mosquito netting, private wooden decks with cool water plunge pool and stunning views of the Sabie River Valley. 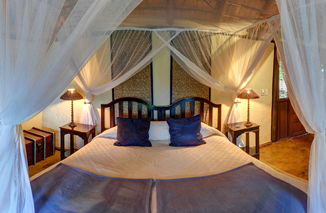 A Little Luxury: We are 4 Star graded and offer beautifully decorated rooms with personal touches and attention to detail. 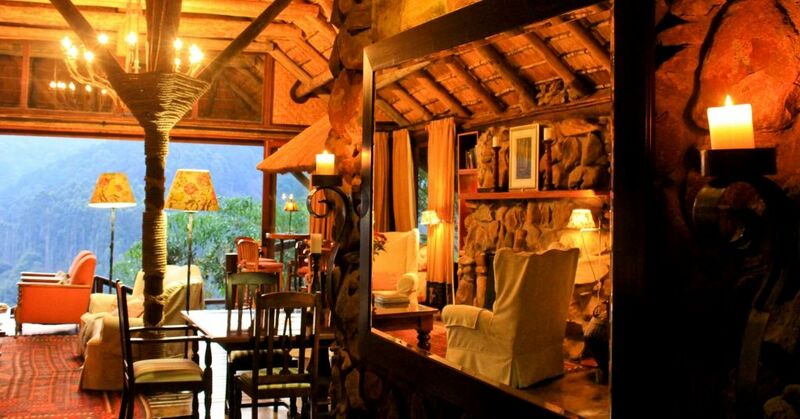 Each chalet is complete with tea & coffee selection. 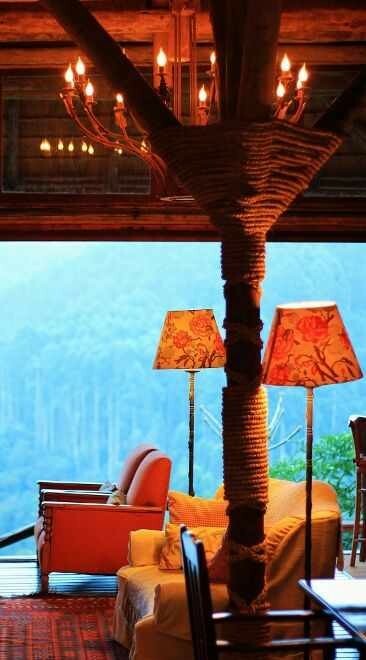 A log fire place is warming over wintry nights and there are ceiling fans for hot summer nights. 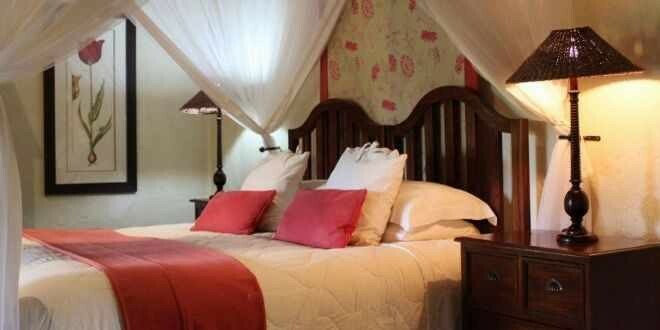 - We operate a Child Policy of young adults aged 16+ only - we do not offer Family Accommodation . No children under the age of 16 allowed. 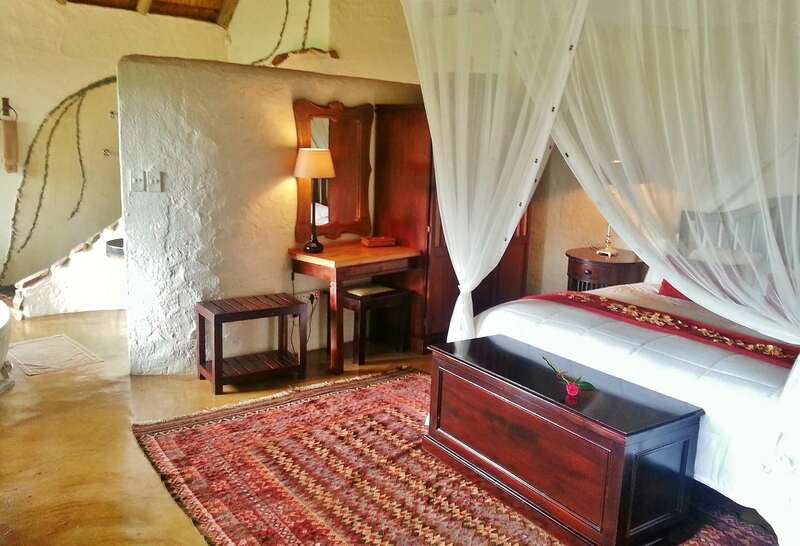 Description: Chalets are fully serviced, and boast king-size beds with mosquito nets, stone baths, waterfall showers, fireplaces, and private decks from which you can take in the awe-inspiring view. 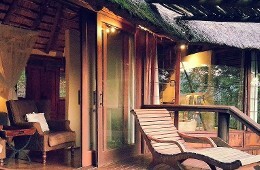 Each chalet is secluded and private. 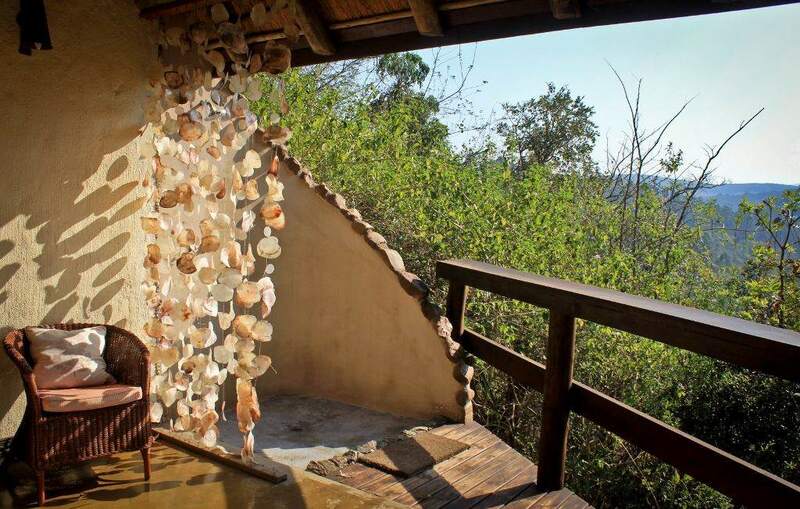 Description: This exclusive chalet is fully serviced, and boasts king-size bed with mosquito nets, stone bath, waterfall shower, fireplace, and private deck from which you can take in the awe-inspiring view. 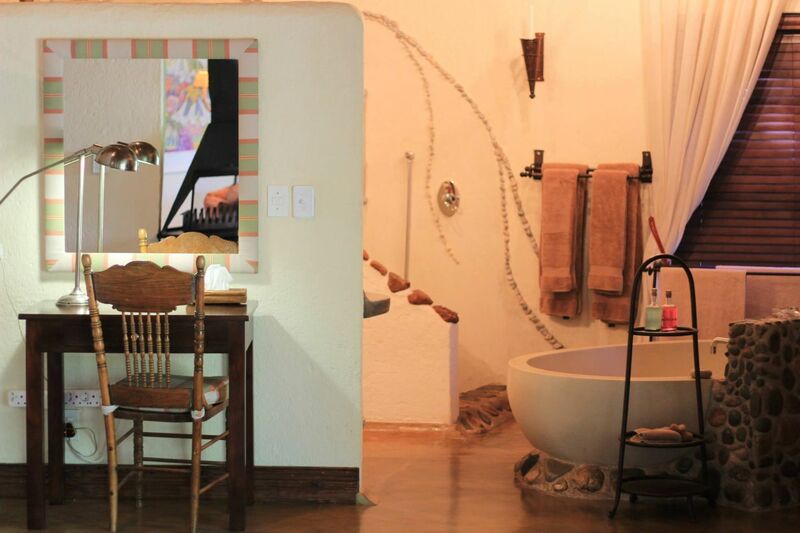 It offers a private cool water plunge pool & outdoor shower. "The hosts were there to welcome us when we arrived. It's a unique styled place. It's small, but very comfy. Everything was spotlessly clean. The rooms were so comfortable. The bedding was white and so soft that it made you just want to lay and not get up. The food that was served was delicious and w..."
"The hosts were there to welcome us when we arrived. It's a unique styled place. It's small, but very comfy. Everything was spotlessly clean. The rooms were so comfortable. The bedding was white and so soft that it made you just want to lay and not get up. The food that was served was delicious and we had a choice to sit and eat in the little lounge or have it in our bedroom. We chose to sit in the lounge. It was nice to be around other people. Especially because everyone was so friendly. The staff were excellent and so were the hosts. 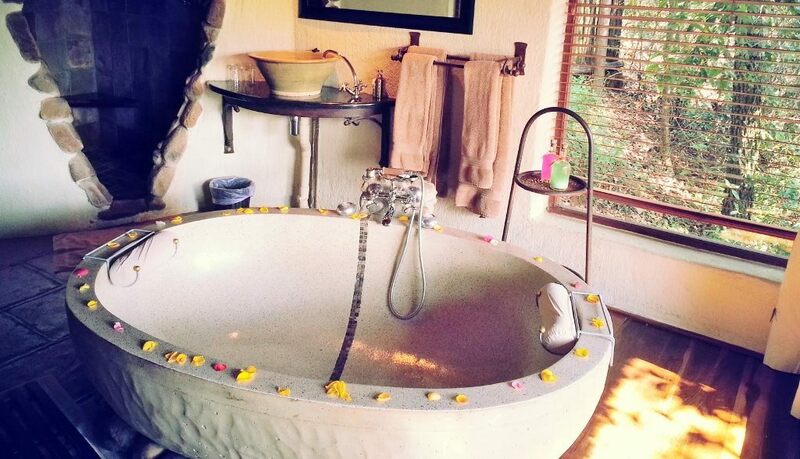 It was a tranquil stay and it was perfect for relaxing just as we needed. 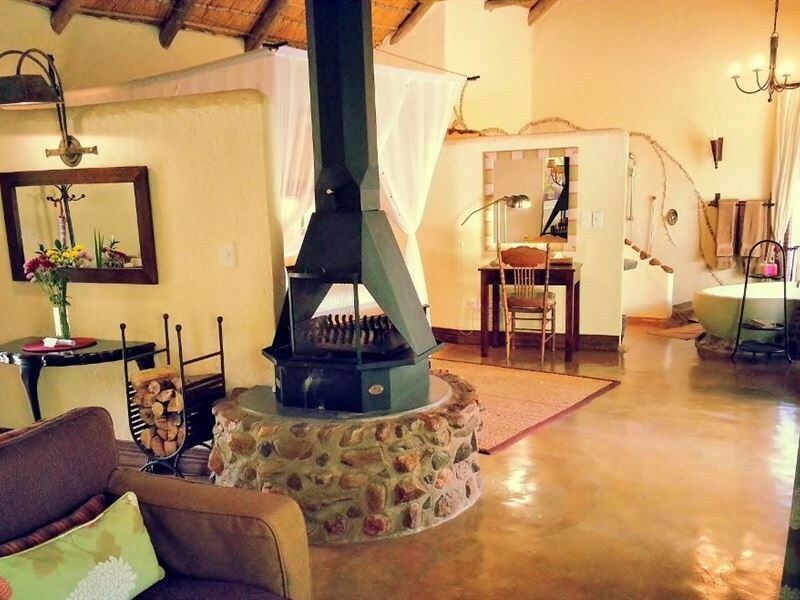 I would recommend this lodge to others and I would stay there again." 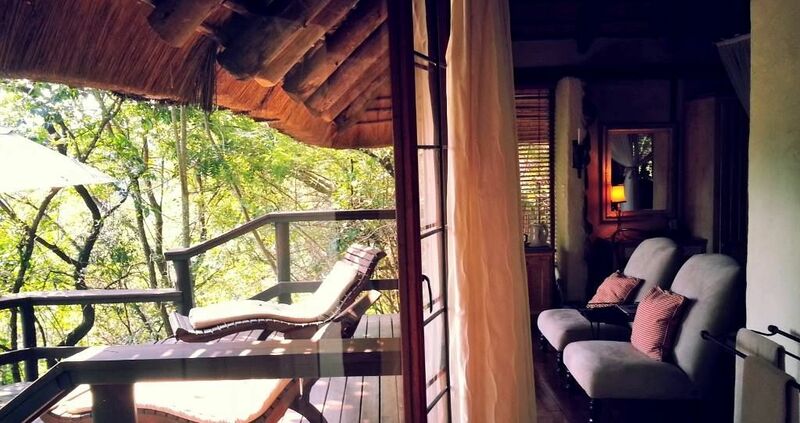 "We had an absolutely amazing and refreshing time at the Tanamera Lodge, The chalets exceeded my expectations, from the decor, to the level comfort of the chalet, not to mention the panoramic views of the beautifully green Sabie River Valley. 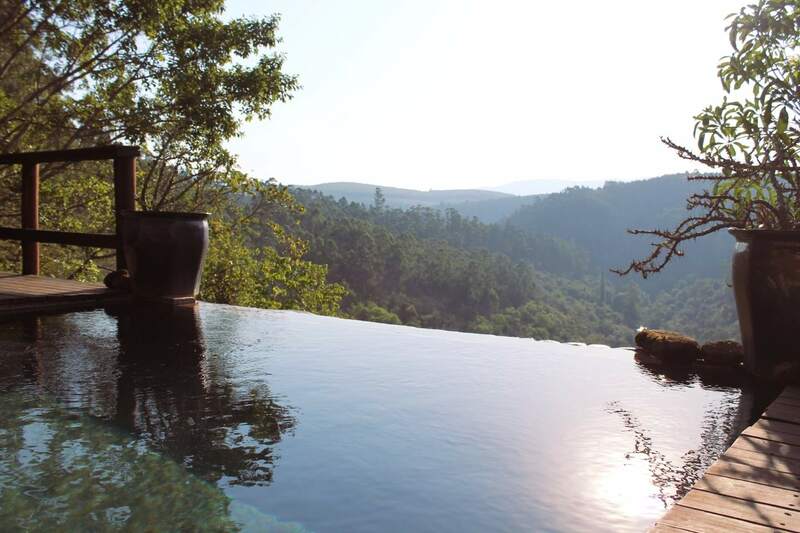 We had an excellent stay and we felt really welcomed from ..."
"We had an absolutely amazing and refreshing time at the Tanamera Lodge, The chalets exceeded my expectations, from the decor, to the level comfort of the chalet, not to mention the panoramic views of the beautifully green Sabie River Valley. 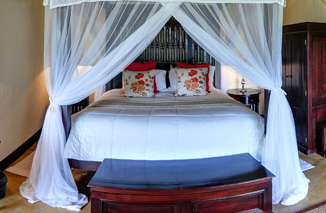 We had an excellent stay and we felt really welcomed from the moment we arrived." 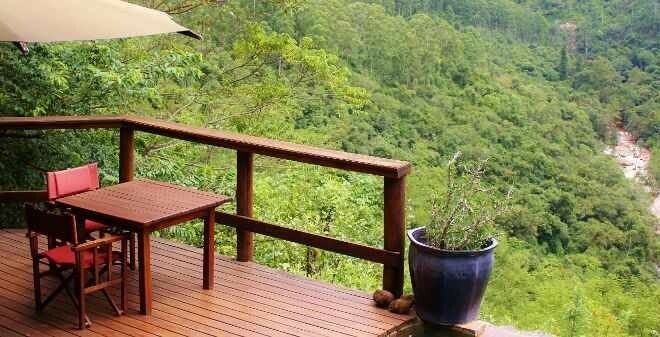 Take the R536 from Sabie toward Hazyveiw approximately 25km on left hand side. 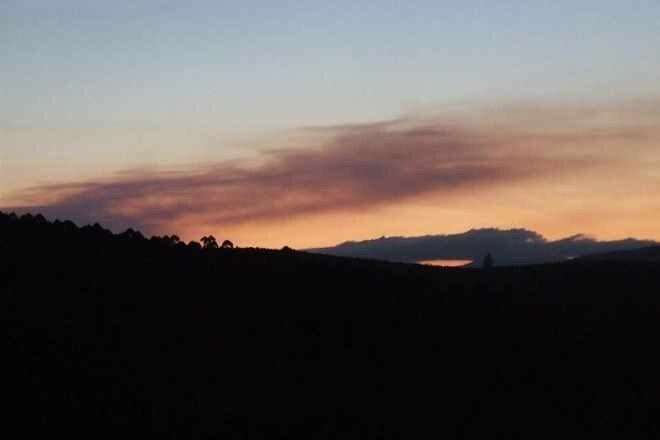 From Hazyview (Perry's Bridge) turn left onto the R536 and travel 20km. We are signposted on the right hand side. Contact Tanamera Lodge directly. Send them an email.